Consumables are highly packaged nowadays. Even fruits and vegetables that have their own natural packaging in the form of tough skins and husks are packaged in plastic. Farm stalls and supermarkets are starting to make a shift towards zero-packaging solutions in a bid to minimise plastic waste. The majority of plastic litter in the environment comes from packaging; grocery bags, cling wrap, bottles and punnets are among the most common waste items found on beaches and in rivers. Food and drink packaging accounts for two-thirds of plastic waste. Plastic packaging poses a significant threat to the ecosystem and its animals if it is not properly disposed of and managed. While recycling is a great way to reintroduce plastic into the value chain and minimise waste, it cannot cope with the sheer volume of plastic being used on a daily basis. That is why reducing waste at the source, by introducing zero-packaging solutions, is one of the best methods for dealing with the waste crisis. South African supermarkets are progressive in their approach to plastic waste. Many of them have already started to phase out single-use plastics, such as grocery bags, straws and coffee cups. Consumer awareness of plastic waste is also growing, partly because of supermarkets’ in-store promotional campaigns about litter. There are also a number of smaller grocery stores and businesses embracing the zero-packaging idea in South Africa. Individually-packed food items are not necessary, and these stores are offering fresh produce with no additional plastic wrapping or packaging. Many zero-packaging stores will allow customers to bring their own reusable containers to fill with various products, such as pasta, cereal, washing powder and even cooking oil. Customers can use plastic containers or glass jars to package their groceries, which are sold by weight at the tills. This mentality of reducing waste and reusing packaging containers is growing in South Africa, but the convenience of plastic packaging is causing a slow shift in progress. Plastic packaging has been a part of the retail system for decades. It is a deeply ingrained process that was designed to protect food and drinks as they were transported from the production site to the shops. However, doing away with unnecessary packaging can encourage supermarkets to source local produce and support the local economy. There are many documented benefits for supporting local food industries – communities are strengthened and local enterprises thrive. Another challenge facing the zero-packaging revolution is advertising. Packaging doubles as a form of advertising for food and beverage producers. The packaging is what makes a product stand out on the shelf and lead loyal consumers to choose certain brands over others. Some consumers prefer to shop for name brand food items over the generic ones, as is the case with many kinds of cereal. Consumers look for the packaging to identify their favourite goods, so doing away with it can present problems to certain shoppers. This is where zero-packaging stores could face problems, but there are still ways to overcome these issues. Labels can be put on the in-store storage containers with the logo of the brand. This will allow consumers to identify their favourite products without the need for the packaging. 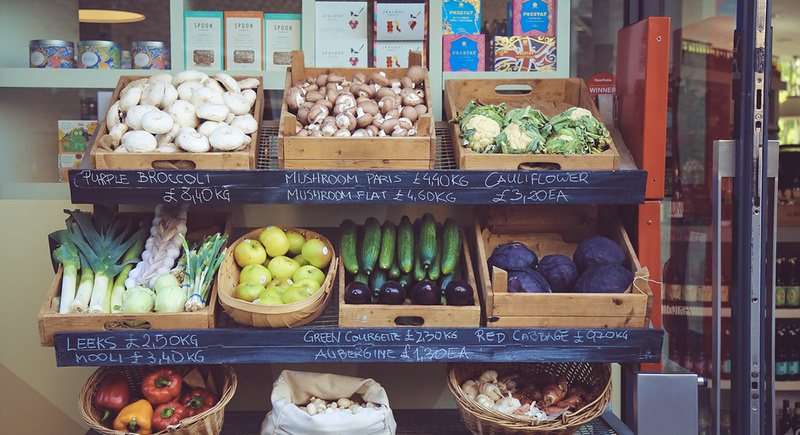 Store owners can also use labels, such as “sourced locally” to inform customers that the produce is fresh. What is needed is a complete reboot of the way in which society thinks about packaging and waste. Zero-packaging stores are a step in the right direction as they present a healthier alternative for the environment. Minimising waste at the source will remain an important step to eradicating waste in South Africa.